NEW BEDFORD — Scott W. Lang, a well-known city attorney and former assistant district attorney, has taken out nomination papers for mayor. Mr. Lang said he is a candidate for mayor and will make a formal announcement next week. “I’m going full-bore, full-speed ahead,” said Mr. Lang, 54, who has been an attorney in the city for 27 years with the law firm of Lang, Xifaras and Bullard. 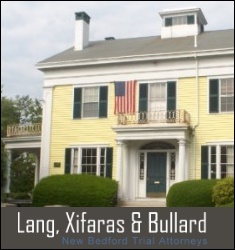 Mr. Lang was an assistant district attorney from 1978 to 1990. He has taught courses at UMass Dartmouth since 1992, and this year is teaching two courses, one on labor law and one on political science. He received his law degree from Georgetown University Law Center in Washington, D.C., and has a bachelor’s degree in history and political science from Marquette University in Madison, Wis.
Mr. Lang is an arbitrator with Commonwealth Mediation and Conciliation Inc. of Brockton and has been involved in a number of youth sporting groups and charitable organizations. He has lived in New Bedford since 1977. He lives at 3 Stetson St. in the city’s West End. Mr. Lang said those issues include the issue of public safety, improving the city’s infrastructure and its day-to-day services, taxes, bonding and “putting together a budget that makes sense,” and developing an economic and development plan that is thoughtful and focused. He said the integrity of the mayor’s office is a key issue, as well. Mr. Lang said although he is getting into the campaign somewhat late, he intends to make up ground fast. But he also does not need campaign funds for things like polls, he said. Mr. Lang joins a crowded list of mayoral candidates seeking to challenge incumbent Mayor Frederick M. Kalisz Jr. The list of challengers includes former state Rep. Mark A. Howland, former Los Angeles mayoral aide Dennis G. Dallaire Jr., UMass Dartmouth administrator Matthew A. Morrissey and at least four other candidates.